Prolidase, a ubiquitously distributed dipeptidase, is involved in the latter stage of degradation of endogenous and dietary proteins and is particularly important in collagen catabolism. It hydrolyzes dipeptides containing proline or hydroxyproline at the C-terminal position. Mutations in the gene encoding for prolidase cause prolidase deficiency (PD), an autosomal recessive disorder mainly characterized by skin lesions, mental retardation and recurrent infectious. In this work we reported the identification of the molecular defect in five PD patients. 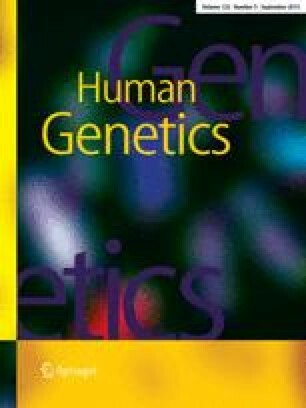 Direct sequencing of PCR amplified genomic DNA showed a homozygous G>A transversion in two siblings leading to a G448R substitution. A heterozygous IVS11+1G>C transition causing the skipping of exon 11 and a null allele were detected in a third proband. In two unrelated patients, a homozygous IVS7-1G>A transversion was identified and shown to cause multiple alternative spliced transcripts. All the mutations result in loss of prolidase activity. Long-term cultured fibroblasts from these PD patients were used to develop an in vitro model that allowed investigation of the affected cells. Light and electron microscopy revealed that PD cells were more round and branched out than controls with increased cytosolic vacuolization, interruptions of the plasma membrane, mitochondria swelling, mitochondrial matrix and cristae modifications. JC-1 labeling showed decreased mitochondrial membrane potential. A significant intracellular accumulation of the Gly-Pro dipeptide was detected by capillary electrophoresis analysis. Our results provide the first evidence that absence of prolidase activity causes the activation of a necrosis-like cellular death, which could be responsible for the typical skin lesions in PD.